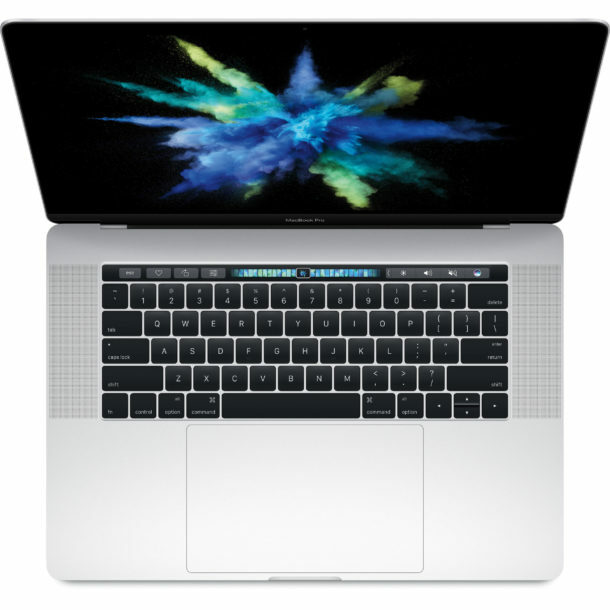 Nonetheless, the latest MacBook Pro and iMac models (from late 2016 onward) are quiet and perform no startup boot sound, meaning the Mac boots up completely silently instead of making the traditional chime sound when the Mac starts up. A lot of Mac users have wondered why their Mac is not making the startup boot sound anymore, and the next question is if it’s possible to return the startup boot chime to the new Mac hardware. Why would you want to turn it on? Since OS9 I’ve had to search for software that would MUTE that sound! If you mute the audio on your Mac before a reboot, the chime will also be muted. If you’re such a long time Mac user you should know that. This method does not consistently work. That’s not a method, that’s an app. No need, use the terminal command I posted as it does work consistently and does NOT require installing anything 3rd party. A few minutes ago, I posted a link to the Mac App Store, which I now realize is incorrect. This requires you to install, then turn on the 3rd party software everytime you turn your Mac off!? Correct. That method rarely works for me. Why? Only last evening as I was sitting in my man-den watching MLB on my Macbook, I heard the “chime” on my wife’s iMac in her office. I knew she was rebooting but since I also knew she was knee-deep in work, I assumed she was having a problem. She was; I was able to help. If I hadn’t heard the chime, she’d have been left scratching her head and I’d have continued blissfully watching the game. As it was, I was able to fix her issue (and it all happened between innings). Thank you Apple, for the chime. Don’t take it away. I think the startup chime was useful back when all Macs had mechanical hard drives. Now that we’re in the age of SSDs and almost instant startups, it’s no longer needed. When’s the last time you opened your iPhone or iPad and lamented the lack of a startup sound? On the new Macs, what is the process for resetting the NVRAM. The startup chime was key for knowing when to invoke the key command to reset. Push too soon, it didn’t work, push to late, it didn’t work. The process to reset NVRAM is the same on the new Macs. But now it’s a guessing game without a chime; when do you hold down the keystroke to reset NRAM? Now? Now? Oops too late. Oops too early. Reboot and try again. Oops not quite yet. Reboot and try again. Just take a few wild guesses, you will get no confirmation, no reboot sound effect, nothing to confirm or deny that anything has taken place. Much like removing the escape key on MacBook Pro, removing every port needlessly, removing the headphone jack from iPhone, removing Magsafe from MacBook, the dreadful Touch Bar, these are all just changes for changes sake and none of which improve the user experience in any way. I find the direction Apple is going with this stuff to be so disappointing. On the new macbook, the clue to press is the screen will turn on but still be black/blank, that’s the clue to start pressing the button. Just went through this with Apple support due to the missing chime que. First, the chime is useful when the computer has some problems and needs to be rebooted. When the screen is completely black the chime is the only way to tell if you tried to restart the computer is working. Second, it would have been nice if the article had explained why Apple removed it. If there are people who really don’t like it why not create a way to mute it instead of removing it entirely? Well I liked the sound and miss it. I also miss the magsafe power cord connector. Ah well, progress I guess. I’m with Elwood. It costs nothing to have the option. Some times I like it on. In other places I like it off. Removing the magsafe adapter is a huge loss, I agree. And I also would miss the boot sound. Personally I bought a 2015 MacBook Pro rather than a new one, it has more ports and a real keyboard with function keys and Escape button, all of which are essential to my work. Plus magsafe, and the boot sound! Kind of funny but if you were describing this backwards it would almost sound like you’d be describing a new upgrade…. except it’s 2.5 years old. How do you boot in Safe Mode without the startup boot sound? An explanation as to why it was necessary to make the change would be great. Since the ‘Chime’ indicated that the POST had successfully completed it would be nice to know how the User would be informed that things are awry. There is no explanation from Apple, they removed the boot chime because it had been around for 25+ years and oh dear you must change what is original and unique. The chime lets me know when to hold the option key and go to bootcamp or select another disk to boot from. I’m sure it could also be used for recovery or something else with other key combinations. No ti doesn’t you hold it when you press the power button and power up, if you press it when you heard the chimes you’re too late. Not on my 2013 MacBook Pro, when the chime sounds I simply press the option (alt) key and my boot choices for Time Machine, Bootcamp and Mac OS appear. No need to hold the key down any earlier! Surely you meant “A lot of Mac users have wondered why *their* Mac…”. I wish I could permanently remove it on my 2015 macbook air. You can easily permanently mute the start up on older macs using this. I have used it for years, it works great, and using a simple terminal command. Old news. Does not work. That “trick” is not a fix at all. It is the same thing as turning the volume down. One or two book cycles later, and you have your chime back. Wrong, turning the volume down does nothing to stop the startup chimes. I have used it for years on multiple macs, and it works 100%. It’s not a trick, it’s a terminal command that permanently changes the volume of the chimes. That’s not the only model that the nvram command does not work with either. Irrespective of which disc format is the primary disc, the Startup chime, as mentioned by other respondents above, acts as an alert to boot-up timing so that other actions can be performed. We are now as good as deaf. The correct time to hold this is when your computer starts to reboot, the chimes has nothing to do with that, and waiting until then results in the computer booting normal, as it is too late. Just bought a new iMac. I think it’s terrible that they turned off the chime. Who do they think they are depriving us of something that has become part of a daily experience for 18 years ??!!! It’s only good customer relations that they should leave it be a choice for each customer, and not dictate what a person should like and not like, and then force them to put up with something they don’t like…especially when you consider the price tag for these things. The chime indicated a successful hardware (POST) test, and also useful regarding the timing of certain fixes such as “press and hold the Shift key after the start up chime before the Apple logo appears”. POST is why I always felt that the boot chime was acutally useful. I liked that Apple didn’t want to use a boring boot beep like a “normal” PC. I miss the boot chime, but I can live without it. One bad thing about the boot chime was that it could also serve as an indication that a Mac user in the office was having a lot of trouble. Their coworkers would hear that boot chime several times while the Mac user rebooted. I really like the chime. It was helpful for troubleshooting, and it was also part of the personality and whimsy of the Macintosh. I fear Apple is just turning the Mac into a boring generic PC with less ports and more dongles, and a much higher price tag. What made the Macintosh unique needs to be maintained, encouraged, and persisted. Terminating the Mac Boot Chime in Terminal never worked on any of my Macs (2009 iMac, 2011 MBP, 2015 iMac). Where’s a good set of dikes when you need them? As a service tech I certainly miss that chime. It was one of the benchmarks during POST that made life a little easier in troubleshooting. About time this antiquated sound was permanently removed. It serves NO purpose, and in the world we live in, starting up your computer silently is a necessity in meetings and common courtesy in public places. I replied to several inquiring how to do this on older Macs that still have this feature, if you wish a permanent solution to muting the start up chimes, check that link. I have used it for years going back to Snow Leopard, it works great!! You hold option when you hit the power up, if you wait for the chime, it’s too late. The chimes have never served any purposes in OSX. Any tech that says it does isn’t very up to speed on OSX. I set my computer to boot the next morning when I need to wake to get ready for work. The first thing I do when I wake is check my accounts online, so it was perfect – the max wakes me up and is now booted for me to use. Of course I can use another device as an alarm clock, but why add one more device to my apartment when my mac boot chime was enough for me for years! We pay through the nose for macs, so why not expect it to do as many needed functions as possible. How hard would it have been to allow us to toggle it, instead of just axing it? I agree, I really like the Mac startup chime for many reasons. One it’s been around for many decades since the first Macs, it is literally iconic. The other reason is for troubleshooting and boot commands. You hear the startup chime and it gives you feedback to know if the Mac is working or not. Without that, much harder for troubleshooting. How do you know when to hold down commands for Safe Boot, PRAM reset, etc? You now have to take a wild guess. I sincerely hope Apple adds the startup chime to the Mac again. I’d even like the startup chime on my iPad and iPhone too. It is iconic Apple. Same with the glowing Apple logo on the laptops (which they also removed). The glowing logo would be amazing on iPhone and iPad too. And then let us not forget the removal of MagSafe, ports, Escape key… I just don’t understand the new MacBooks, they are not for me. I hope they course correct and fix this stuff, bring back what is good. All of the fun Mac whimsy of the Jobs and Woz era are gone :( All of the pro conveniences and features are gone :( Let us hope they see the error and correct. I have a MacPro mid 2012 (5,1) and after upgrading to OS 10.12, the chime was gone. I saw on osxdaily a method of going into the terminal and activating the chime again. I tried that and the chime was still gone. Several attempts gave me the same results. I guess on some configurations the chime is now a thing of the past. For me it was a lazy way of knowing when select another boot option. So far, I can still make everything happen without hearing the chime. I had this same thing happen to mine. But when I reset the NVRAM, it came back, no Terminal commands. Just allowed the NVRAM to reset three times. The chime actually tells the user that a number of systems were checked and passed muster. If for example there is a RAM issue one hears the sound of broken glass..no chime I think is a foolish decision. One should have the option of course not to know what is going on aurally but it should not have been removed totally. Apple does what it does for example the changing to the hard see thin fonts I am forced to squint at as if every Mac user is under under 30 with perfect vision. I could go on but I think I have said enough. The system is in so many ways, terrific it would never stop me from staying with a Mac but having some choices in the OS like chimes and fonts for the system itself would work for me bigtime. So does it actually starting up. these options shoudsl be left to the user as many others that had dissapear and were very usefull (The colore title of a file, replace by almost unvisible colored dots! The point of the whole name being colored was of course to easier to find or identify). I dissaproove of engineers who believes that they know better than the user! No, I hate that! If you don’t know what to change to justify your job, change job! I suspect the chime was dropped as part of the hardware product line unification. Not unlike macOS;iOS;tvOS and alike. The iPad,iPhone,TV and Watch don’t chime on bootup nor do they have hard drives. Macs are going the same way. Alternatively, the chime may represent old slow and not “always on.” Accordingly the boot chime was done away with. The boot chime is reminiscent of days gone by when the Mac was king. Now the Mac is part of a greater Apple ecosystem experience, which I certainly identify with more these days as I ponder all my Apple products. I might be missing something here but…I have always used the startup chime as an indication that the Mac has passed POST (power-on-self-test). If the machine did not chime you knew there was a serious hardware problem (or the machine was muted!!). The computer booting serves the same purpose. The chimes were of no technical value. I am a Linix admin. I know what the command line is for. I have tried the alleged fix. My friends tried it. It does Not stop the chime more than one cycle. I have considered modifying the hardware to disable the speakers for the first 20-30 seconds after a power on. they should add lots of easy things into system preference settings. not only this one! I just got a 2017 iMac. The problem is that if I leave it overnight to sleep, the screen in the morning is dark. If I then click the mouse or press the spacebar to revive it and it doesn’t, I don’t know if the thing is still asleep or off. I then have to press and hold the power button for a few seconds to make sure it’s off, and then start it up again. It’s a real pain not knowing why the screen is dark! There should be some sign that the machine is sleeping. I think this article got the Terminal command wrong. I’ve used this one since Oct. 2016, first with Sierra and now later with High Sierra, and it brought back the startup chime that had disappeared to my 2015 MacBook Pro. Works fine for cold boots as well as reboots. OK, I get it, no new Macs have the startup chord. So why does my 2017, 27″, 5k iMac have one? Because people enjoy overgeneralizing and talking out of their a55. Anyone try any of these commands and find their iMessage and FaceTime disabled? Didn’t try messages before trying the command, but did try FaceTime and it worked up until I entered this command. I’ve tried countless things to try and fix it, but still neither applications are working. I have a MacBook Pro 2017 13 Inch, 1 Tb of SSD, 16 Gb of RAM. I was wondering if Apple will ever bring back the startup sound for the newer Macs in a future update. I hope so. Even better, have the option to enable or disable the startup sound. I am very very happy that my Macbook does not make the chime sound at all times.